Way back in 2008 I watched The 39 Steps on TV with Rupert Penry-Jones as Richard Hannay, so inevitably as I read The Thirty-Nine Steps I could see Penry-Jones as Hannay. 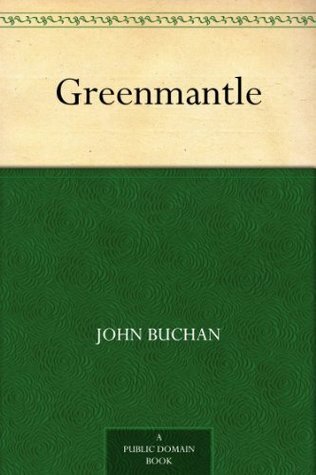 The dramatisation, however, although there are similarities, is different from John Buchan’s book. There are a number of historical inaccuracies and some artistic licence was used – none of which I was aware of as I watched the film and I thoroughly enjoyed it. It made me want to read the book and it’s taken me until now to get round to it – I’d forgotten most of the details of the film, except for visions of Penry-Jones running away from his pursuers in the Scottish moors, scrambling through the heather. 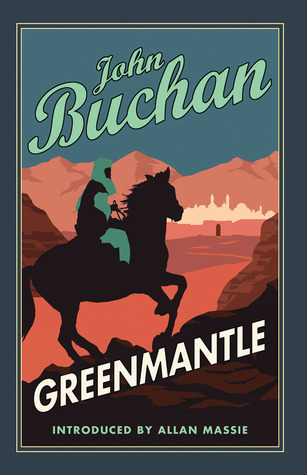 John Buchan began writing The Thirty-Nine Steps in 1914; it was first published in 1916. He was born in Perth in 1875 and after leaving Oxford University he had a varied career, as well as writing books and articles he was a barrister, a member of Parliament, a soldier and a publisher. 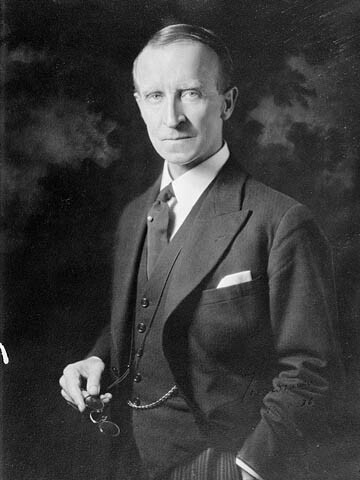 He was created Baron Tweedsmuir of Elsefield in 1935 and became the 15th Governor-General of Canada, a position he held until his death in 1940. Once I began reading The Thirty-Nine Steps I didn’t want to put it down. It’s a fast moving action-story, beginning with an international conspiracy, involving anarchists, financiers and German spies. Richard Hannay, having found Scudder, murdered in his London flat, fears for his life and goes on the run, chased by villains in a series of exciting episodes, culminating in the discovery of the location of the ‘thirty-nine steps’. Hannay is a remarkable character, resourceful, and a master of disguise. As well as fleeing for his life he is searching for Scudder’s notebook, which contains clues to the international conspiracy – Scudder was a spy. He can impersonate the British First Sea Lord at a top secret meeting with people who knew the real First Sea Lord very well and is also convincing as the very British gentleman, the plump, bridge-player Percival Appleton. The Thirty-Nine Steps is to my mind a gem. There are other Hannay books – the Complete series is available on Kindle, The Thirty-Nine Steps, Greenmantle, Mr. Standfast, The Three Hostages, and The Island of Sheep. And so one book leads on to yet more books!